Shahzad1676 had the most liked content! I have﻿﻿﻿﻿ been a hobbyist since 1995. I was always a saltwater fish only tank for the most part. 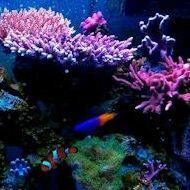 Now I am hooked on LPS corals!